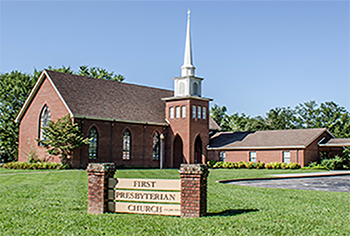 Welcome to First Presbyterian Church of Huntsville, Tennessee! We seek to reflect the gospel of Jesus Christ through service and love. There is no Sunday School on Easter Sunday. Our Sunday Worship Service is broadcast each Sunday @ 2 PM, Local Cable Channel 5. Our church family is eager to meet and welcome newcomers and visitors. Throughout the year there are many planned fellowship opportunities as well as opportunities to visit before and after church services, Sunday School, and activities. Our Fellowship Hall is also available for use by the community; details. • The morning worship is broadcast on local cable channel 5 each Sunday at 2 PM. • An automatic external defibrillator has been installed in the choir room. Also, The church is able to offer a wheelchair to any church attendee who needs this assistance. Please ask an usher for assistance when you arrive. • Photos and videos that church members and friends have taken that could be used here on the church website are always welcome. 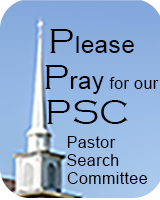 Please check with the church office about transferring them to the church's webservant. To schedule an event in our Fellowship Hall for your group, please call the church office at (423) 663-3456. The Session must approve all reservations. Charges for use of the room are set by the Session. The listing above can help you determine dates that may be available. The Young Men's Bible Study group works from the Serendipity version of the Bible. Community information is believed accurate but can change without notice, as these venues have no formal relationship to the church. First Presbyterian Church of Huntsville is about 55 miles from Knoxville and 10 miles from Oneida.